These next steps will guide you through the process of uninstalling the portion of the Windows update (KB3102429) that is causing the issues with ClearDent. 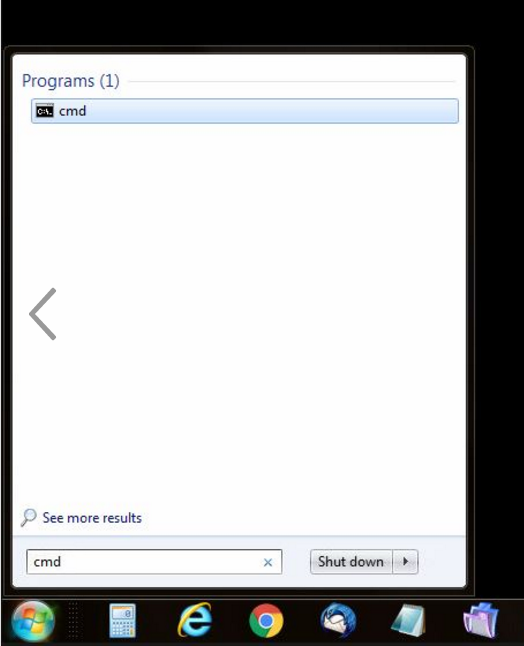 Click on your Windows start menu and type "cmd" into the search field. This will bring up "Command Prompt" as a result. Click on that to open. 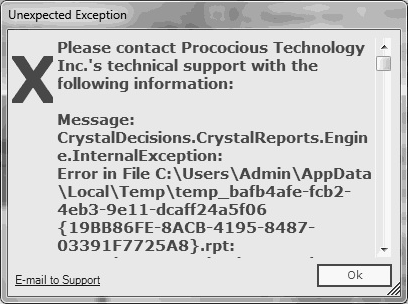 You cannot use Ctrl+v. 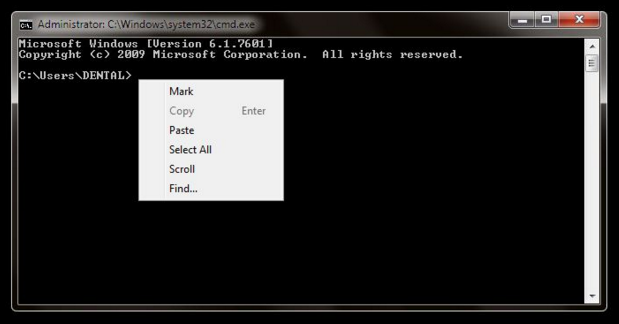 You must use the menu that is opened by right clicking in the command prompt window. Once you have the command entered, press "enter" on your keyboard and the uninstall will begin. This should take between 30 seconds and 1 minute. 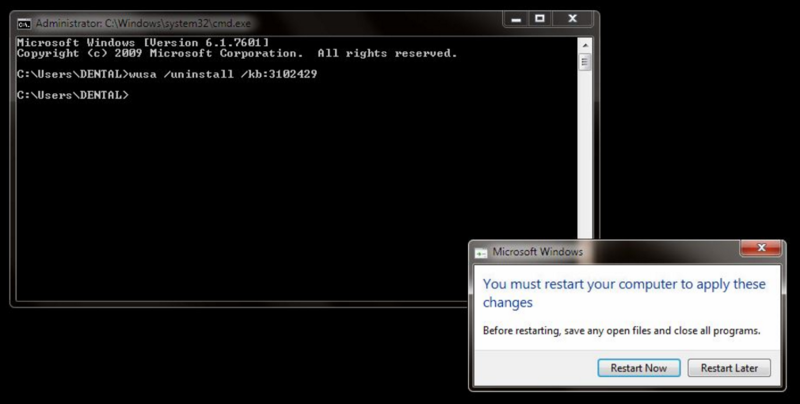 Once the uninstall from Step 2 is complete, you will be prompted to restart your computer in order to make these changes take affect. Select "Restart Now" to this option. 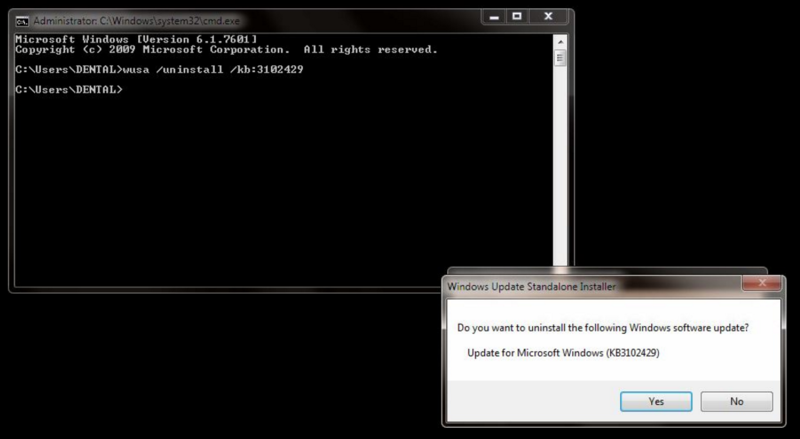 It will confirm that you want to unistall KB310249. Click "Yes." Now that the update has been uninstalled you need to prevent it from installing itself again. To do that, click on the Start menu again, and search "Windows update." Then, click on the "important updates available" link (shown as "1 important update is available" on the screen shot below. Left click on the important update (KB310249) to highlight it blue. Then right click it and select "Hide update"
If you have any further issues, please don't hesitate to contact support at 1-866-253-2748 x 2.